Our main priority is to keep the roads safe! 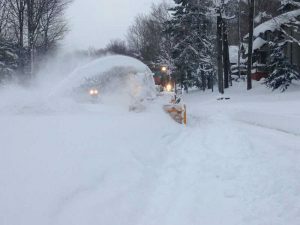 Residents who operate vehicles on Town roads rely on the Highway Department to keep them moving. 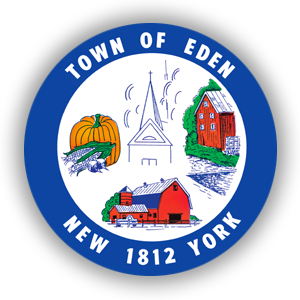 The Town of Eden Highway Department maintains more than 48.98 center lane miles of roadway. In addition, hundreds of catch basins are maintained, as well as miles of storm water drains. The Highway Department also assists in the removal of trees that have fallen in severe weather and clears dead animals from Town roads. Which means keeping the shoulders lower than the pavement to allow the water to run off into the ditch or storm water drains. Brush can also be brought to the Highway Department at any time. For more information, please download this Brush Disposal Quick Guide. The Town of Eden participates in the Western New York Stormwater Coalition. For more information, please visit their website.